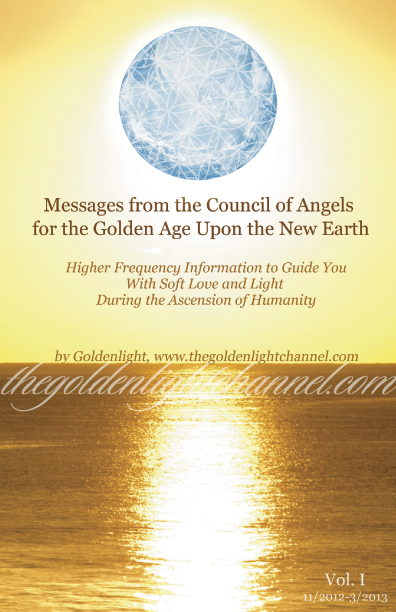 Greetings We are the Council of Angels and Archangel Michael and we wish to give you today a most pertinent message or update on your ascension processes for each of you are going through this internal ascension process in a bit of a different way, so that your experiences will be somewhat different amongst you. Many of you will end up eventually in the same place which is a higher dimensional realm of the new earth bathed in 5th dimensional frequencies, while some will remain by choice in the newly created higher 4th dimensional world, to assist others on their higher vibrational path. 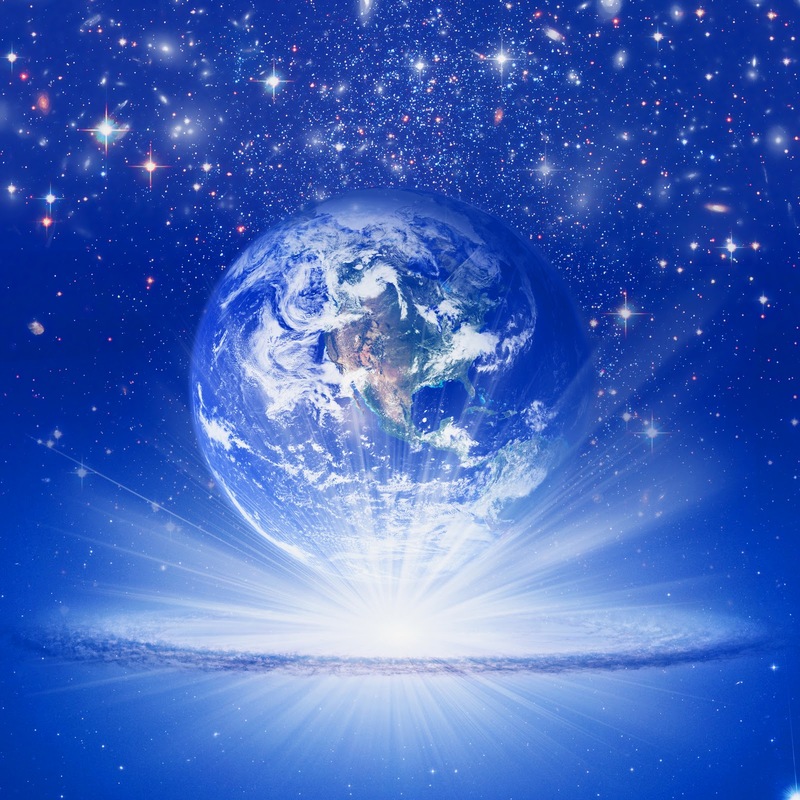 There is occurring at this time now the splitting apart of “worlds” or vibrational frequencies – the old 3rd dimensional world is nearly dismantled and dematerialized; a dead, unenergized holographic world that is ceasing to exist as we speak. Those in the 4th dimensional world which all of living humanity has entered into are also in a process of “splitting apart” energetically, so to speak, so that some will remain with the higher dimensional world of the 4th dimension – we say “higher dimensional” as it is an upgrade from the old 3rd dimensional paradigm which no longer exists or contains any living human beings – and another group of souls will move toward, or split off, into the 5th dimensional world. It is an energetic migration, or higher dimensional “crossroads” of sorts that is occurring quite rapidly now, relatively speaking, as we are in the final process of resonance into energetic pathways. This is not a one time occurrence but a process that is continuously shifting and changing and based on a person’s individual soul path or journey combined with their level of conscious awareness, intention, and vibrational frequency. The energetic pathways on which your soul would travel were made by your soul before coming to earth and are in alignment with your soul missions and pre-birth contracts made by you for your own evolution and growth. There is now occurring some moving back and forth between the different levels of 4D and also energetic vibrational frequency movements occurring in and out of the 5th dimensional new earth – many of you have energetically “visited” this 5th dimensional new earth in your dream states and meditations, and this will continue to progress until you have reached your highest energetic frequency resonation pre-planned by your soul before entrance into this lifetime on earth. The energetic visits to the higher dimensional realms have been occurring to prepare your beings to be able to withstand the higher dimensional frequencies and to prepare your physical body to be able to resonate with these higher frequencies of light. This raising of your conscious awareness and vibrational frequency has been occurring slowly but continuously over time since last December and is now coming into a time of reaching a crescendo of higher dimensional awareness, frequency resonation, and harmonization with these higher dimensional frequencies. We urge you to tune in as often as possible to this higher dimensional frequency awareness which is encompassed by your multidimensional self. Your multidimensional self is the You that has been created by You, Source, your guides, the energetics of your soul path, and angelic realm assisted energies. This multidimensional self is You and exists in the Now……this “You” is simply patiently and lovingly awaiting for your earth vessel (including your body, brain, heart, mind), to “catch up” in vibrational frequency and merge energetically to continue on your spiritual journey of being and moving into the higher dimensions. All occurs simultaneously in the great Now and your multidimensional self exists outside of Time as we of the archangelic realm – as emanations from Source – also exist outside of Time. The best meditation you can do for yourself right now is to connect in with your Multidimensional Self which exists outside of time, tune into this being that is You and envision yourself merging with this higher multidimensional You. Breathe yourself into the awareness of Being this Multidimensional You…then slowly open your “eyes” (with your spiritual vision or sight) and look around! Look at this beautiful new higher dimensional realm into which you are energetically merging into and look at this beautiful civilization which is flourishing in the Now. 🙂 We will leave you now to your meditations as the channel has developed a headache from receiving this high-energetic vibrational informational higher light code packet and translating it into words which can be somewhat draining as words and writing is a somewhat archaic form of communication ~ in the higher dimensional world into which you are all energetically moving, higher communications are carried out telepathically and through visual light packets so that all can tune into them…this is the higher dimensional way of communication at which the channel is adept, and has also increased her skills in translating into written form these higher dimensional light code packets. We of the higher dimensional and archangelic realms love you most dearly and are ever near, loving you, assisting you when asked, and here to ever guide you on your pathway back home to the light and towards your harmonizing with the higher dimensional vibrational frequencies of light. Namaste and we send you soft loving light on this most auspicious day. Above is a very rudimentary sketch of the vision I was sent today about the Galactic Command Center in Santa Fe. I tried to illustrate this a little more clearly digitally last evening, without much success. I am going to attempt to paint this at some point soon! The digital version is below. note: this is a re-post from the Santa Fe Galactic Command Center site from 4/10/13. Goldenlight: Hi! I wanted to ask you about the vision you gave me of the command center today.. The drawing I did of the vision you showed me. This center – like much of the rest of the New Earth – already exists in the 5th dimension, you are simply “tuning into it” from your 3rd/4th dimensional frequency. 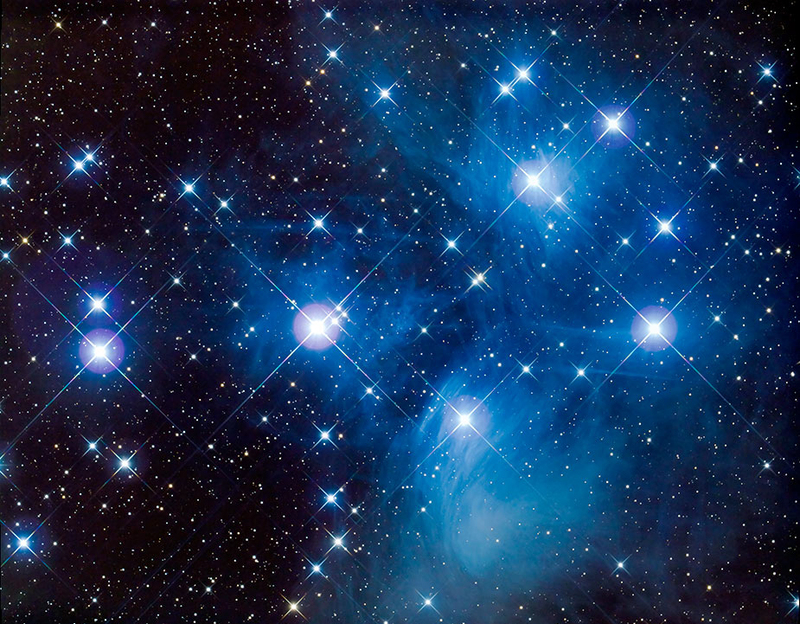 You were able to get a glimpse into the 5th dimension today when we showed you this center… as it has already been created since we are beyond the realm of time.. We are simply waiting for you all to “see” it. When the people of your earth see our ships it is a combination of us lowering the ship’s frequency and the viewers being able to tune into a higher frequency. 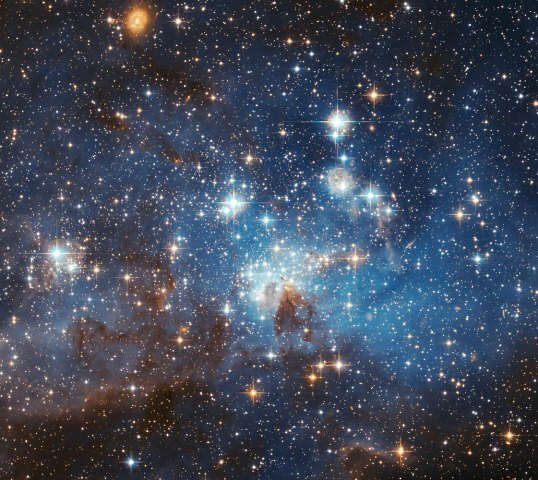 Most on your earth now are in the lower to mid-4th dimensional frequencies now so that it is easier to see us, especially when we lower the ships frequencies. Yes this Galactic Command Center does already exist in the NOW! And you were simply able to tune into it visually today and we also sent you a holographic visual light information packet which you were able to pick up on. We were so pleased when you did! This is part of your “job”, Goldenlight, as a member of the team for the center: to give it artistic expression as well as to bring in communications from the higher dimensions about it. We lovingly await our reunion and your arrival to this dimension and of the manifestation of this intergalactic portal and center into your current paradigm, which is in the process of upshifting and merging into the 4th and 5th dimensions. So it is a different way of looking at things: we are actually “waiting” for you, not the other way around as your minds would have you believe (smile). Of course all is perfect divine timing, and all is happening in the Now.. A difficult concept to grasp from the third dimension, but simple from our perspective as we exist outside of time. As we have expressed before, In the 5th dimension, time does not exist. Being in the third dimension, quite a restrictive space, has served its purpose for many if you and you are ready to move on. We eagerly and lovingly await the intersection and merging of your world with ours. There will be much sharing of news and information with you as you become full galactic “citizens”, or members, once again. A great reunion it will be, with many of you joyfully reuniting with your star families of origin. Know, too, that in the realm of No Time, this too has already occurred.